This podcast—led and produced by Judy Fisher—examines our Queer Berlin walking tour with Jared Pool. 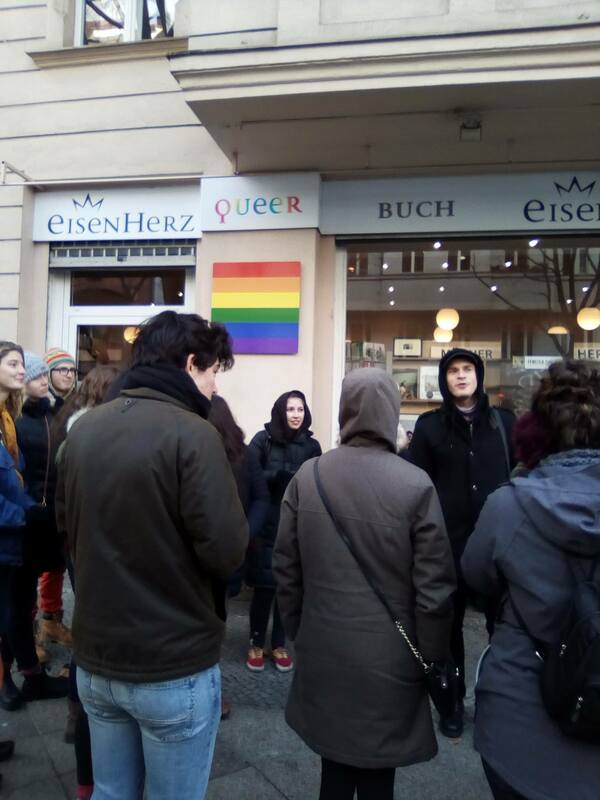 During this tour, we try to understand why Berlin is sometimes considered the “Queer capital of Europe” due to its relationship with gay and lesbian rights despite the history of “Section 175” of the German penal code, which criminalized homosexuality for decades after the end of World War II. 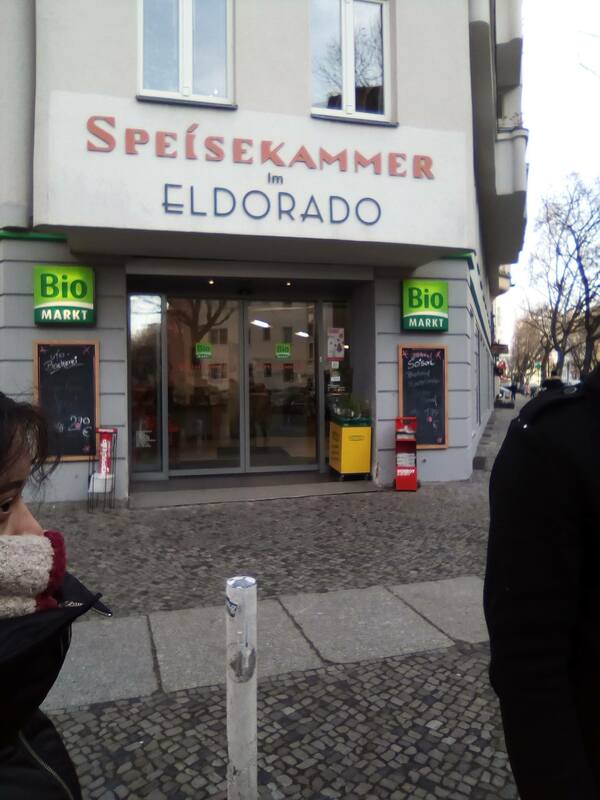 The tour takes participants through Schöneberg, the home of Marlene Dietrich that was chronicled by Christopher Isherwood and Otto Dix; the Eldorado, one of Berlin’s oldest gay bars that was frequented by openly gay Nazi SA leader Ernst Röhm; the Memorial to the Homosexuals Persecuted by the Nazis; and Kreuzberg. It examines the advocacy of Magnus Hirschfeld, whose Institute for Sexual Science was shut down in 1933 and whose library destroyed in the infamous Nazi book-burning; queer figures in the administration of Prussian King Frederick the Great; and openly gay mayor Klaus Wowereit, among others. Judy Fisher is a Sophomore at Colorado College from Oklahoma. She is a first-generation student, a member of the Choctaw Nation of Oklahoma, and is active in the Native American Student Union (NASU) at Colorado College. 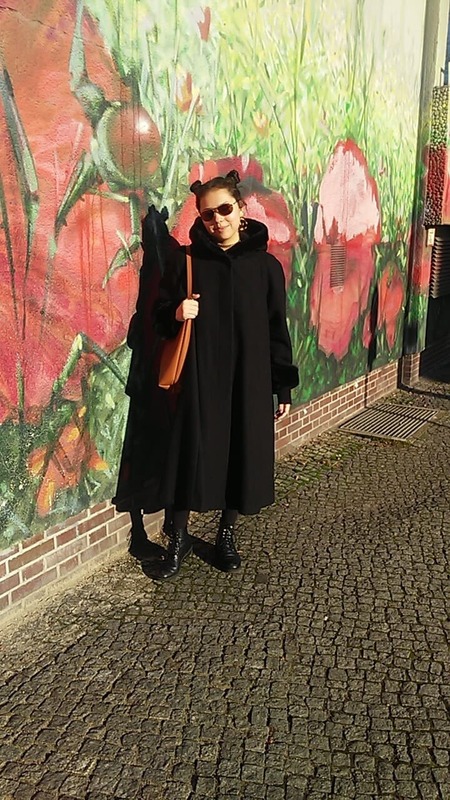 As a Feminist and Gender Studies major and Race, Ethnicity, and Migration Studies minor, she has developed a focus on Indigenous Feminism and the different intersections of her own identity as a queer, Native woman from a low income background attending a predominantly white institution (PWI). Joining Judy in her discussion are Elsa Godtfredsen—a Seattle, WA native and junior at Colorado College majoring in Biology and minoring in Creative Writing, and Dylan Compton—a Tulsa, OK native majoring in Religion and International Affairs with a Chinese language minor. NOTE: The photo credit for the featured image also belongs to Judy Fisher.